Happy Friday! Blogtober is going in full force, and I almost feel as if my day isn’t complete if I haven’t visited Watch Me Juggle at least once. I’m really good at tripping going both up and down stairs. On a similar note, I’m really good at high heels. Ok, I’m decent enough at walking in them, but I can always find the most amazing bargain when it comes to shoe shopping. 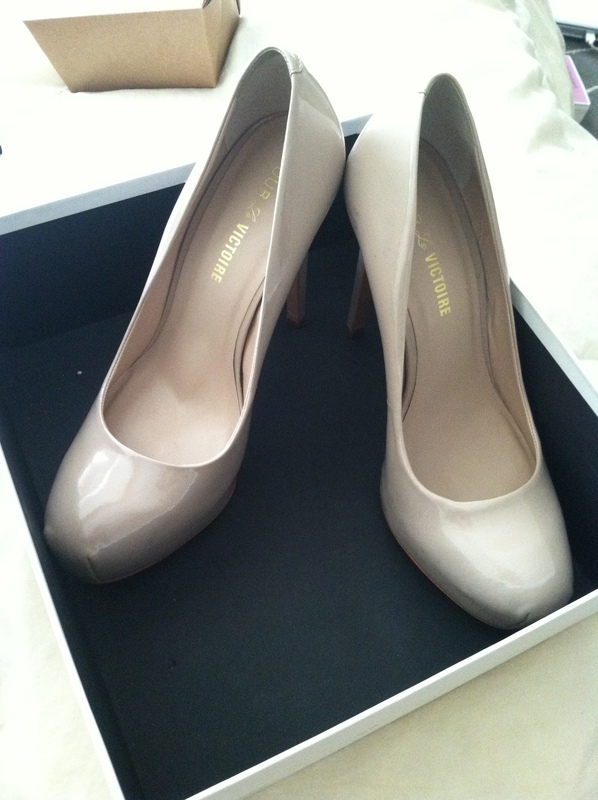 I found the above Pour La Victoire shoes for $11.50. That’s right. $11.50. Brand new. I win. I can make a mean at-home latte. I’m also a professional coffee drinker, if that were a real job. The boss lady says that while I may look pretty, it certainly doesn’t stop me from being a complete and utter goof ball; usually to get a laugh or a smile out of even the most stoic people. It makes me happy. I’m like a chipmunk with a cheeseburger. You’ll wonder where I put it all, it disappears so fast. Google-stalking people. I can do it. As the infamous Jenna Marbles says: “Goo hoarding.” I excel at keeping bottles, all just shy of empty, all over my bathroom. If you need enough volumizing shampoo for a hamster, chances are I have it somewhere. I can kill hours in thrift stores. I’m a professional Thrift Store Wanderer. I usually come out with some amazing treasures, too. I have a knack for finding the best parking spot…approximately two seconds after someone else does. Add these to my resume. This was hilarious – can definitely relate to the eyeliner one because it just happened this morning. Why is it that whenever I’m running late, I can get eyeliner everywhere except for the actual eyelid? ?